Daniel is celebrated for his ability to capture images depicting harmony between the built infrastructure and natural ecology. The work during his residency documents both redevelopment of infrastructure as well as restoration of the natural habitat. His images also highlight the beauty of the parks, public spaces and the people who work, live and play in the valley. Panel discussion – Thursday, June 18, 6–9 pm. Community partners, Milwaukee Riverkeeper, Menomonee Valley Partners, Urban Ecology Center, 16th Street Community Health Centers and Harbor District, will joining Eddee Daniel in the discussion on the topic of the Menomonee Valley revitalization – the history, ongoing development as well as future plans. 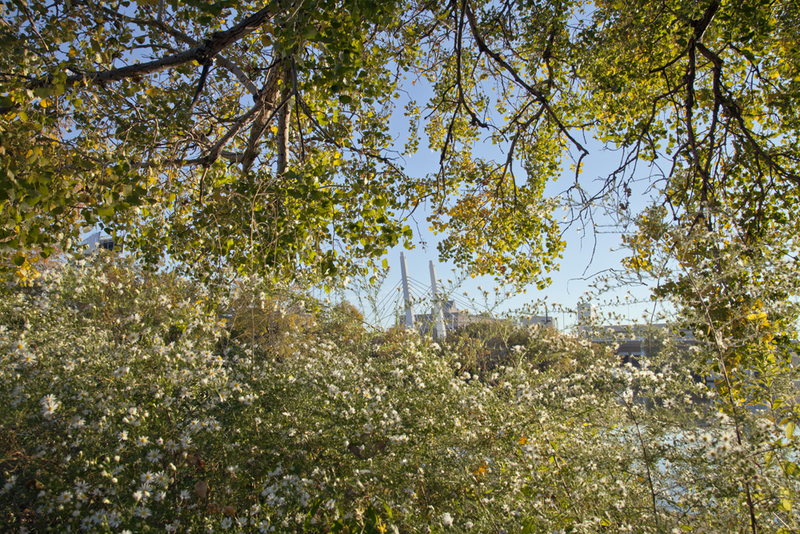 Eddee Daniel has been a longtime advocate and documentarian of the harmonious existence of the natural ecolog and urban environment along the waterways of Milwaukee. 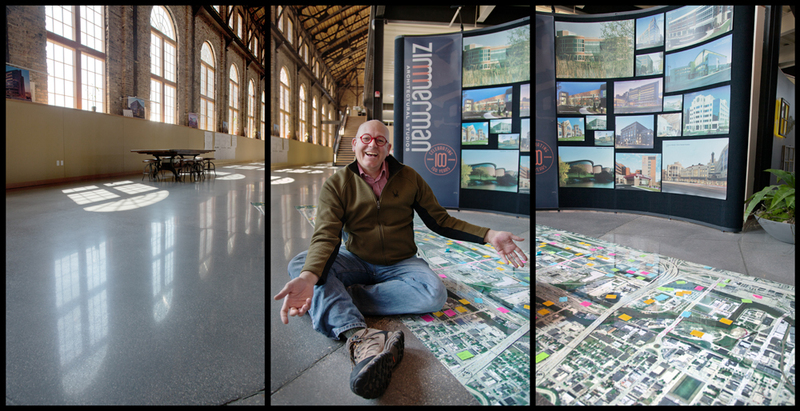 He began documenting the wonders of the Menomonee River watershed in 1997, when the Milwaukee County Grounds, which runs alongside the watershed, was to be sold for retail development. Since then, he has continued to photograph and write about the watershed and environmental issues on his Urban Wilderness blog. 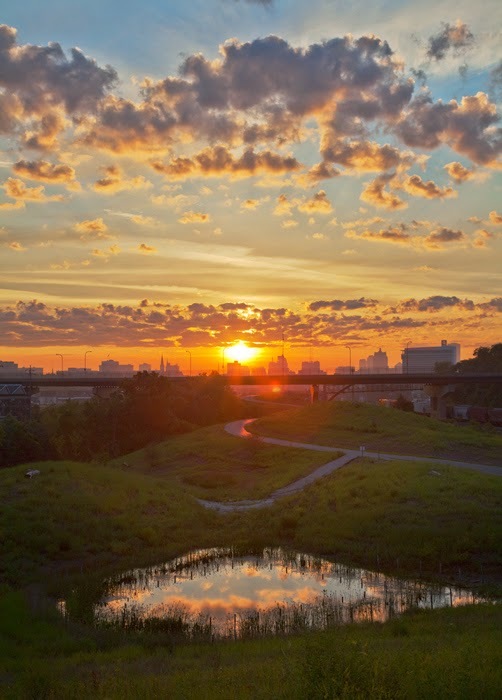 He published a collection of his photography and essays in the 2008 book Urban Wilderness: Exploring a Metropolitan Watershed, which was awarded the Kodak American Greenways Award. He has published a total of 10 books to date. He is a frequent contributor to local publications, including Milwaukee Magazine and Journal Sentinel’s Art City. Eddee Daniel had a long career in arts education, taught at Marquette High School and various local colleges for over three decades. He holds a master’s degree in art education from University of Wisconsin—Milwaukee. He is also a strong advocate of local art and writes a blog called Arts without Borders. Daniel currently serves as Artist in Residence at Lynden Sculpture Garden. 2015 exhibitions at Walker’s Point Center for the Arts are supported in part by grants from the Greater Milwaukee Foundation Mary L. Nohl Fund, CDBG Milwaukee, Milwaukee County Arts Fund, and grants from the Milwaukee Arts Board and the Wisconsin Arts Board with funds from the State of Wisconsin and the National Endowment for the Arts.